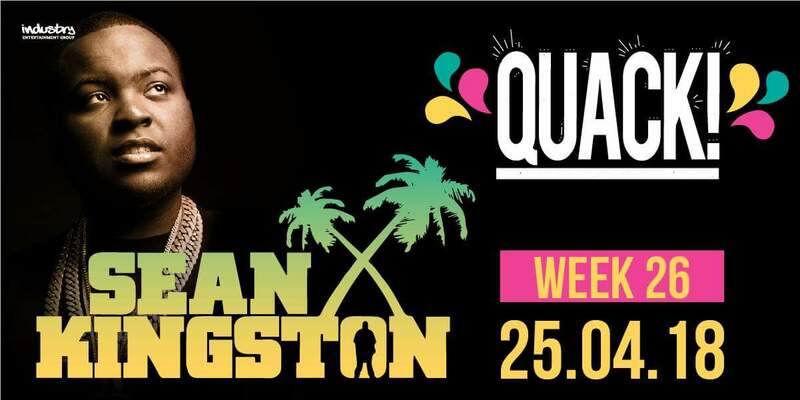 The one and only Sean Kingston is coming to Quack!!! Performing all his hits live on stage, including ‘Beautiful Girls’, ‘Eenie Meenie’, ‘Party All Night’ + loads more! Every week you can expect…. ►2 VK’s for only £4! *Each student may sign in up to two non-student guests per week.